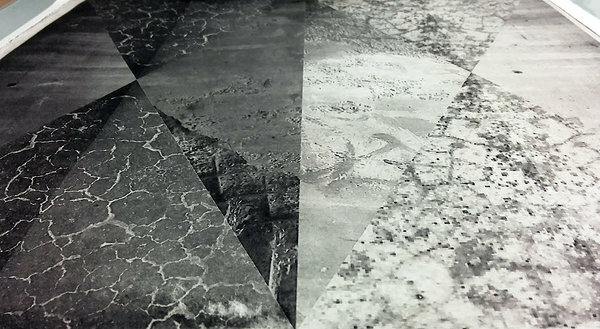 In June: Electroetching residency with Alfonso Crujera. The Hand Magazine no. 20, Printmaking special. The Bridge is part of the series of works dealing with negligible spaces that still have an impact. Spaces that people pass trough and by, not necessarily noticing the quiet presence and nature of the space. These spaces are speaking about freedom, potential and the importance of uncultivated landscape. The beauty of the space is ambiguous. Photographing these minute moments and places has haunted the artist since moving to the city. The photographs taken on the walks from home to the studio have been collaged and then printed in the intaglio manner by the artist.